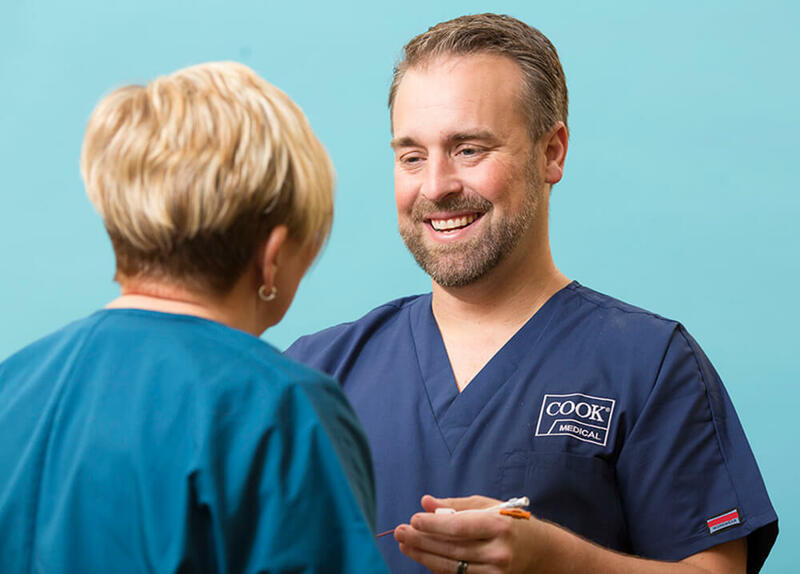 The Cook Medical Clinical Specialist team has a combined 114 years of clinical experience working with vascular access devices. As Cook Clinical Specialist Diana Melton explains, the training is comprehensive, covering anatomy and physiology, the types of therapies that require a PICC or central venous catheter (CVC), various kinds of vascular access devices, how to select an appropriate insertion site, insertion techniques, and the use of ultrasound. Training also focuses on general care and maintenance of the catheter, possible complications, and treatment plans. 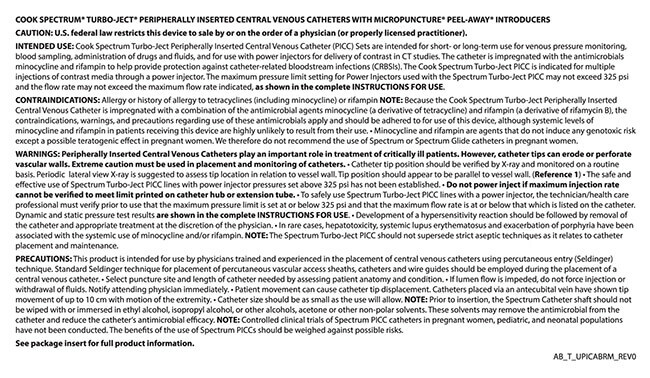 Cook Spectrum catheters meet the CDC’s 1A recommendation as a component of the prevention of CLABSIs. To learn more about Cook Medical’s Clinical Specialist team and to discuss your training needs, email us at spectrum@cookmedical.com. Learn more about the science of Cook Spectrum® technology at spectrum.cookmedical.com. Learn more about how bloodstream infections hurt patients and hospitals. O’Grady NP, Alexander M, Burns LA, et al. Guidelines for the prevention of intravascular catheter-related infections, 2011. 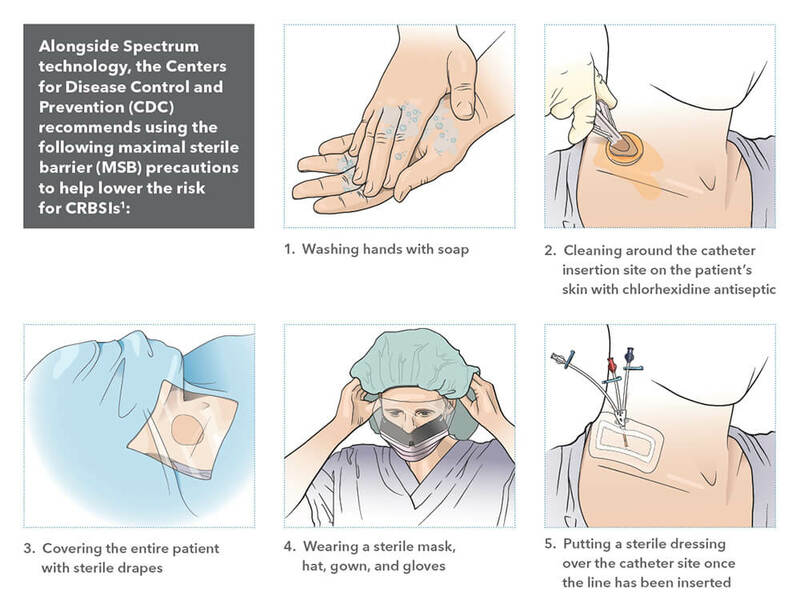 Centers for Disease Control and Infection website. www.cdc.gov/hicpac/pdf/guidelines/bsi-guidelines-2011.pdf. Updated April 1, 2011. Accessed Jan. 6, 2017. Raad I, Darouiche R, Dupuis J, et al. Central venous catheters coated with minocycline and rifampin for the prevention of catheter-related colonization and bloodstream infections: a randomized, double-blind trial. Ann Intern Med. 1997;127(4):267-274.